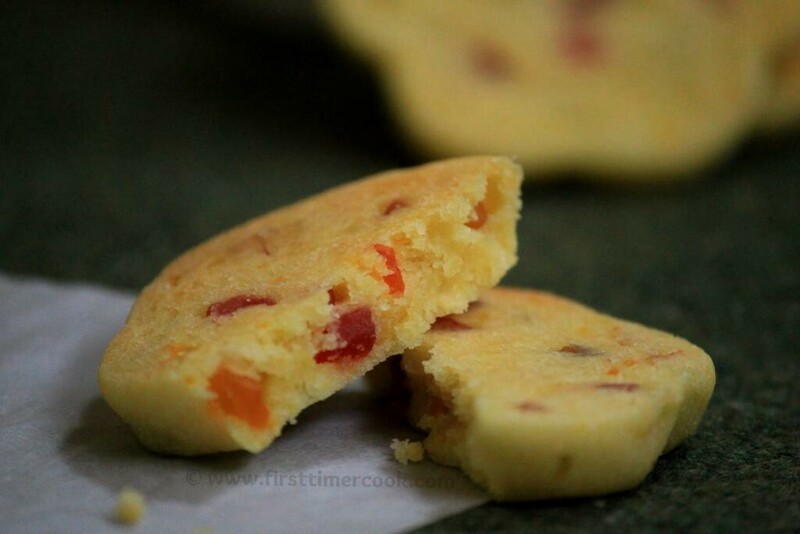 Eggless tutti frutti cookie looks beautiful as well as tastes great. Here I have added orange flavor to the cookies. Especially tutti frutti & orange flavor goes very well with each other. So do try this cookies by following below steps. In a mixing bowl, whisk butter and sugar until a creamy texture. Then add orange zest, vanilla essence, salt and mix very well. Add the flour along with baking powder. Mix well. It results in a non-sticky dough. Next add tutti frutti and mix. Keep the dough in refrigerator at least for 1 hour. After 1 hour, take out the dough from refrigerator. Divide the dough into desired number of balls. Give any shape or just flatten each one. Before you take it out from refrigerator and flatten, preheat the oven at 180 deg C.
Transfer the cookies to a baking sheet leaving 1 inch space between each cookie as these tend to expand. Bake for 15 minutes. Cool down completely and store in airtight jars. 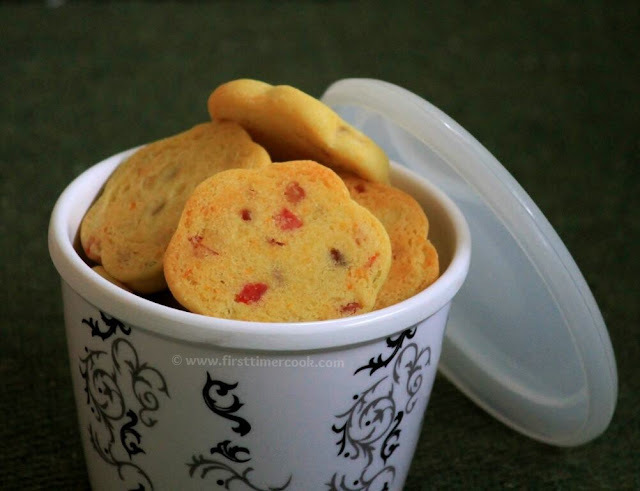 Serve eggless tutti frutti cookie as snack for kids ! Give enough space between cookies while putting on baking sheet. 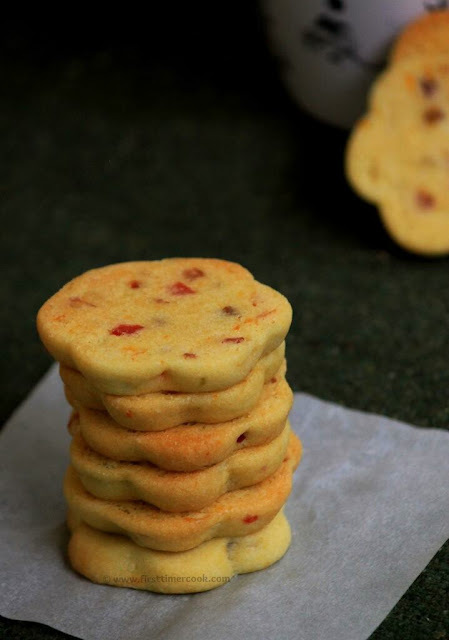 If the dough become slightly gooey before adding tutti frutti, then add 1-2 tbsp of flour. Once baking done, the cookies may be soft. As these cool down completely, the cookies become crispy.